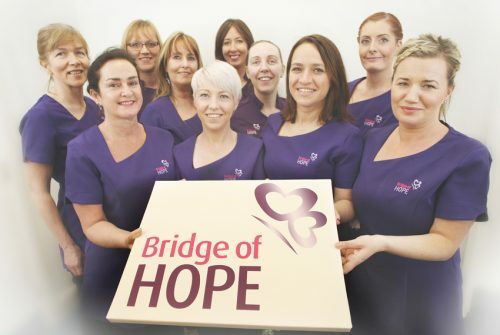 Ashton’s Health and Wellbeing Department, Bridge of Hope is well known for its personal development and stress management programmes and in the New Year once again there will be a wide variety of courses available. The Take 5 Steps to Wellbeing course is designed to help individuals to develop emotional resilience and wellbeing. It focuses on looking at practical ways the 5 steps can be incorporated into everyday life. Confidence and communication skills are an important aspect of life so whether you are working on your own self-esteem or wanting to improve your communication skills this workshop will help you focus on what is important for your own journey of personal development. The Strengths, Weaknesses, Ambitions & Needs (SWAN) programme is fantastic for both individuals and groups and really helps develop goal setting. By working on lifestyle, health, work and relationships this one-day stress management course helps people look at their lives and identify the best direction for them. This is the workshop developed by Louise L Hay, internationally renowned metaphysical teacher and bestselling author. It has helped many thousands of people to make positive changes in their lives. The workshop helps you gain deeper insight into old patterns and gives you the tools and techniques to release more fully. FREE MAKEUP MASTERCLASS NEXT WEEK! Ashton Community Trust is an award winning charity that prides itself on delivering real benefits for local people. It is known for its ability to consistently deliver quality services and over the last 12 months Ashton gave yet another strong performance both financially and organisationally in terms of service delivery.